Just thirty years ago, we were told that eating any kind of fat was a death-march to weight gain, high cholesterol, high blood pressure, heart attack and disease. Ten years later, we were told that unsaturated fat was good, but saturated fat was a death-march to weight gain, high cholesterol, high blood pressure, heart attack and disease. Ten years after that, we’re told that some unsaturated fats have become bad for your health and that some saturated fats could be good for your health…and now…well, now it seems that no one knows quite what to tell you at all. With so many contradictory ideas about fat banging about, the subject of dietary fat has become a very confusing one for people trying to lose weight or who are struggling with health problems. A lot of this confusion stems from the fact that the word “fat” doesn’t just refer to one thing – there are many different categories and subcategories and sub-subcategories of dietary fat, each with very different chemical structures and each behaving in very different ways inside your body. This means that almost any blanket statement about general fat consumption – whether you should eat it or not, how much and how you should eat it, whether it’s healthy or unhealthy, etc. – is just plain wrong. As science starts to pay more and more attention to all these many differences between different types of fat, it’s becoming very clear that fat is the cause of weight gain, high cholesterol, high blood pressure, heart attack and disease. It’s also becoming very clear that fat is the cure for weight gain, high cholesterol, high blood pressure, heart attack and disease. It’s just a matter of figuring out which is what and what is which. Detangling the fat facts from the fat fictions begins by blowing some stubborn nutrition myths out of the water once and for all. To have success with long-term weight management and good health, it’s important to understand some key truths about how dietary fat can help to increase your metabolism, burn fat, decrease your appetite, improve your cholesterol and blood sugar and reduce your risk of weight gain and disease. 1. 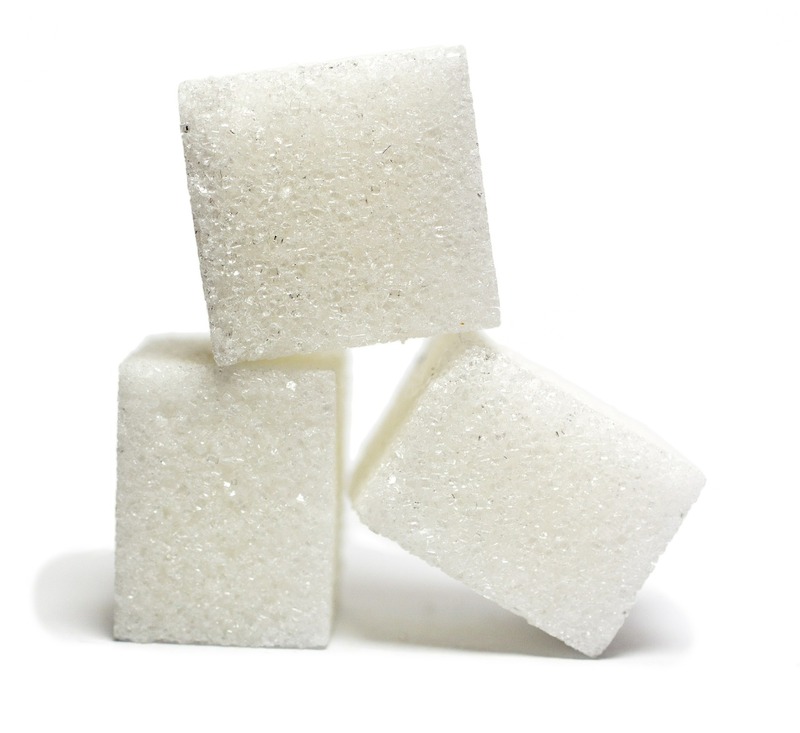 Fat fixation has distracted us from the real bad guy – Sugar. When you eat sugar, it floods into your blood and your body responds by producing a hormone called insulin. Insulin instructs your cells to pull this sugar inside their walls, to bring the level of sugar in your blood back down to healthy levels. But when you eat a lot of sugar on a regular basis, your cells start to ignore insulin’s instructions, leading to insulin resistance and a cascade of problems with your metabolism, your ability to burn fat, your cholesterol levels, your cardiovascular system and your general health. You can’t burn all of the sugar that you eat, and so your body starts to store it in expanding fat cells that not only increase your weight, but also increase your risks for diabetes and heart disease. Blaming weight gain and heart disease on eating fat has led people to eat fat-free diets. Fat-free diets are almost always high in sugar and refined carbs. Ironically, it is these very no-fat high-sugar diets that have turned out to be the cause of weight gain and heart disease. And the “sugar” that leads to weight gain and disease is not just the white powdery kind that you put in your coffee – it’s also the kind that flour and baked goods and pastas turn into inside your body, it’s all of the syrups and sweeteners and juices and dextrose and maltose and 257 other names and variations of sugar that pop up in your diet more often than you realize. The average American eats about 1 pound of sugar every single day! Our fixation on fat has lead us straight into the treacherous hands of the real bad guy that is making us fat and sick – sugar. 2. 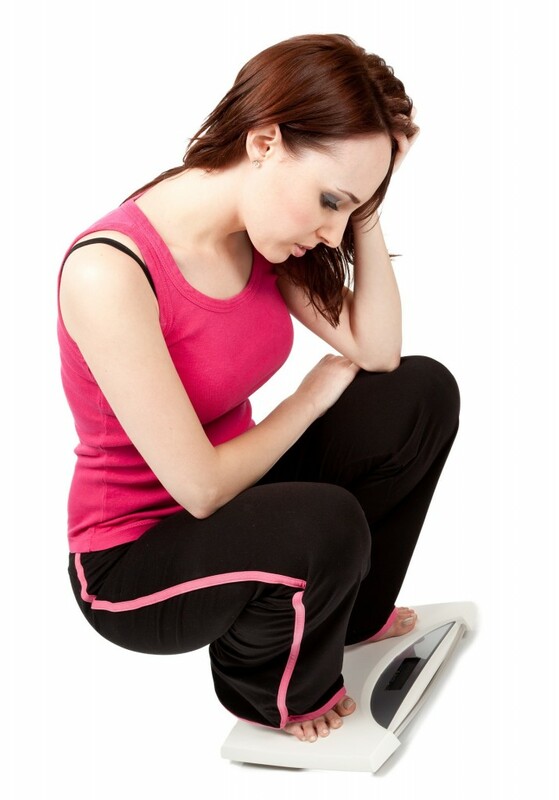 Low-fat diets raise bad cholesterol and destroy your heart health. “Good” cholesterol is the kind that nourishes your cells and that can be easily transported out of the body and eliminated properly. “Bad” cholesterol is the kind that gets trapped in your blood vessels and hardens, blocking healthy blood flow to your heart, brain and organs and leading to life-threatening health problems. While healthy essential fats like omega-3 have been shown to raise levels of good cholesterol, diets that are low in fat and high in sugar have been shown to increase the type of cholesterol that is small, dense, clogs up your arteries and leads to heart attacks and strokes. That’s why 75 percent of people who wind up in the emergency room with a heart attack have been shown to have normal overall cholesterol levels. It’s their blood sugar regulation that turns out to be all of whack, showing pre-diabetes or full-blown type 2 diabetes. Saturated fat has been pinned as the “bad” fat to avoid. However, the American Journal of Clinical Nutrition found no connection between the amount of saturated fat that people eat and their heart health. What does seem to make a substantial difference is the quality of saturated fat that people eat. Saturated fats that come from factory farm animals, and from meats that have been cured, smoked, chemically preserved or processed have been definitely linked to increased risk of heart disease, stroke and cancer. The World Health Organization has officially declared that processed meats are a group 1 carcinogen (proven cause of cancer). Saturated fat from grass-fed organic animals, on the other hand, have been shown to contain higher amounts of CLA, a fatty acid that helps to burn body fat and increase lean body mass. Lauric acid, a saturated fat found in coconut oil, has been shown to have numerous health benefits, such as improved blood sugar and metabolism, improved thyroid function and cholesterol levels, improved weight management and anti-bacterial, anti-fungal and anti-viral properties. Not all saturated fats are equal when it comes to your health – the source of the fat, the quality of the fat and the way the fat is processed makes all the difference between whether it helps or hurts your body. 4. Unsaturated fat is not always good. With fear of obesity and heart disease pushing people away from saturated oils, the public demand for products with unsaturated plant oils instead created a problem for food manufacturers and restaurants. Unsaturated plant oils were more expensive, yielded less product, gave food a more greasy texture, didn’t have the same rich flavor, and they spoiled much more quickly than saturated oils. So the food industry tried to solve this problem in a number of different ways. One solution was to produce plant oils more cheaply by genetically modifying the crops they were derived from, and by using intense heating, industrial chemicals and toxic solvents to express higher yields of oil from the plants. These are the processes typically involved in the commercial production of corn oil, soybean oil, canola oil, cottonseed oil, safflower oil and others. Another solution to the fat problem was the hydrogenation process. Hydrogenation is a chemical process that takes unsaturated liquid fats and artificially saturates them – or partially saturates them – with hydrogen atoms. Unsaturated fats are “hydrogenated” by filling up some of their empty chemical bonds with hydrogen atoms, to make these fat molecules more stable. This chemical process allows unsaturated plant oils to have the same rich tastes, textures, chemical stability and shelf-life advantages as the detested saturated fats. However, it turns out that these “solutions” to the fat problem have creates a whole new host of problems. Now research has shown that eating low quality plant oils and hydrogenated plant oils lead to a life-threatening rise of harmful cholesterol, triglycerides and internal inflammation while lowering levels of good cholesterol – in other words, these plant oils cause heart disease, which is what we thought they were protecting us from. Some plant oils, like corn oil, safflower oil, soybean oil, cottonseed oil, and some others are high in a type of fat called omega-6 polyunsaturated fatty acid. While both omega-6 and omega-3 fatty acids are essential for the body’s health, eating too much omega-6 and too little omega-3 has harmful effects on our cells, immune function, and makes us far more prone to chronic inflammatory diseases. Not all unsaturated plant oils are created equally, and while some – like high-quality cold-pressed extra-virgin olive oil, flax seed oil, hemp seed oil, etc. – have been shown to contain healthy fatty acids that lower cholesterol, heart risks and weight gain, others – like low-quality genetically modified and/or hydrogenated cottonseed oil, canola oil, soybean oil, corn oil and etc. – have proven to have very serious and harmful effects on our health. The brain is made up of 60 percent fat, the biggest portion of which is an omega-3 fat called docosahexaenoic acid (DHA). Your brain needs DHA to spark communication between cells. Easy access to high-quality fat boosts cognition, happiness, learning, and memory. In contrast, studies link a deficiency of omega-3 fatty acids to depression, anxiety, bipolar disorder, and schizophrenia. Beyond the brain, it’s the heart that greatly depends upon eating more omega-3s . Omega-3 lowers bad cholesterol by reducing levels of bad fats (triglycerides) while simultaneously raising good fats (HDL) in the blood. Omega-3 fats make blood more slippery, which reduces the likelihood of artery disease. These delicious Nutty Chocolate Chip Butter Bars are high in healthy omega-3 fatty acids, get the recipe here. Eating the right fat helps you shed fat. Your body uses high quality fats to build healthy cell walls which are better able to respond to insulin, keeping blood sugar better regulated. Without efficient blood sugar control, the body stores up fat in your body instead of burning it. The right fats help you burn fat, reduce stored fat, and also reduce your appetite and cut cravings for sugar. Contrary to popular belief, it’s not eating fat that makes you gain weight – it’s eating the wrong types of fat and not eating enough of the good types of fat.